If you have any appreciation of the aesthetic, then you should make sure to bookmark or update your RSS reader with Lovely Package. A blog I have been following for quite some time now, this lovely little site has satisfied my craving for beautifully crafted packaging. I have long since been a package keeper, in that if I get a new product and it has a nice box. I will keep that box. It gathers dust and probably will have no further use but I can’t bring myself to throw it away because it is so nice. Every single post on the blog website contains exactly the kind of packaging that I would treasure probably long after the actual product is of no further use. 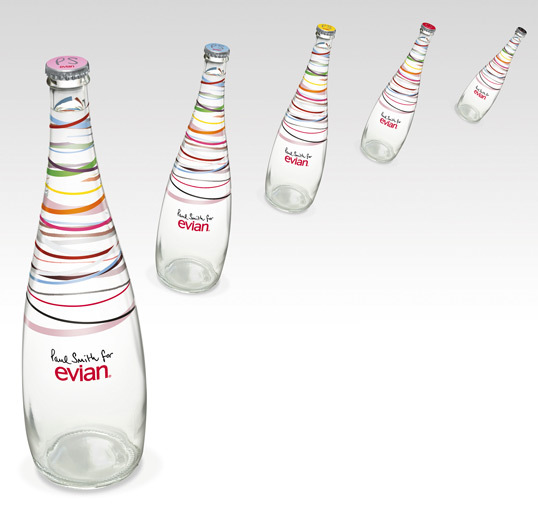 My current favourite is the Paul Smith x Evian I discovered via Lovely Package. This is just a taste. You are an awesome geek, you like nice things and nice looking things. Go bookmark. This entry was posted in Website and tagged Blog, Design, Lovely Package, Packaging by Jonathan Day. Bookmark the permalink.